Hello my lovelies! 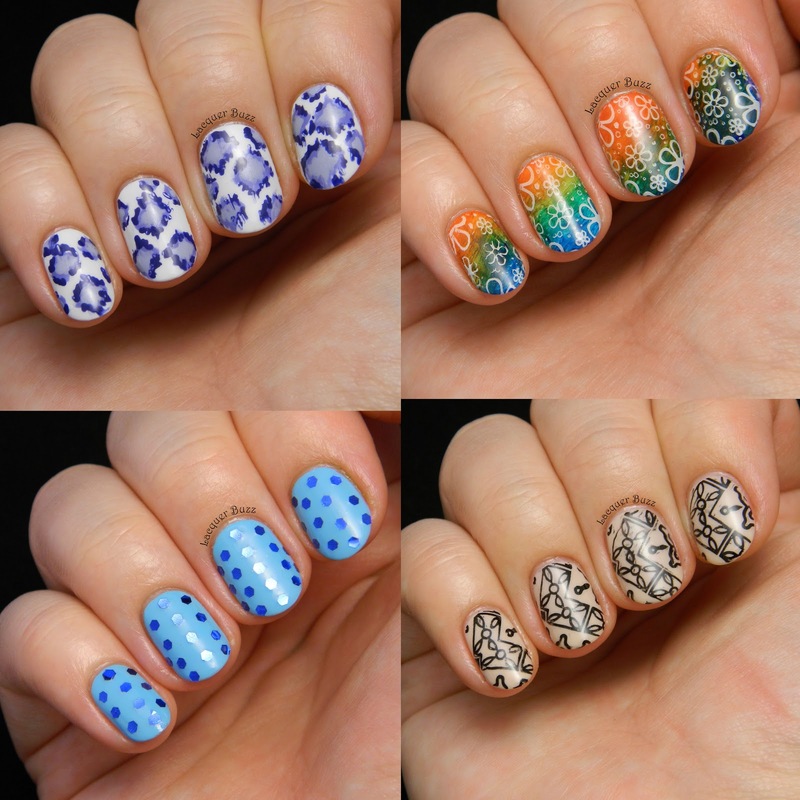 I have a quick nail art review for those of you who are into stamping. Not long ago I noticed that the Born Pretty Store started selling the famous XL stamper that is an alternative to the Konad one. It's not the first time I try one of these out and since my previous experience wasn't such a great one, I really wanted to give the Born Pretty one a try. The set consists of a double ended stamper and two different sizes of plastic scrapers. They look like this. Hello lovelies! 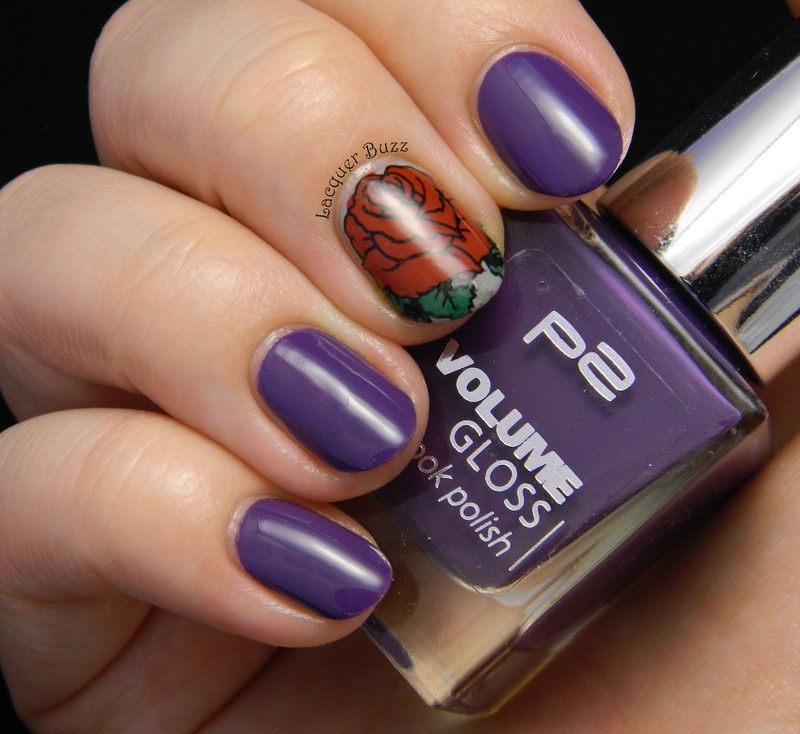 It's time for me to show you another another fun nail art accessory from the Born Pretty Store. I love to play with glow in the dark stuff, so when I saw these cute water decals I couldn't resist them. I chose the star shaped ones because stars are one of my weaknesses. 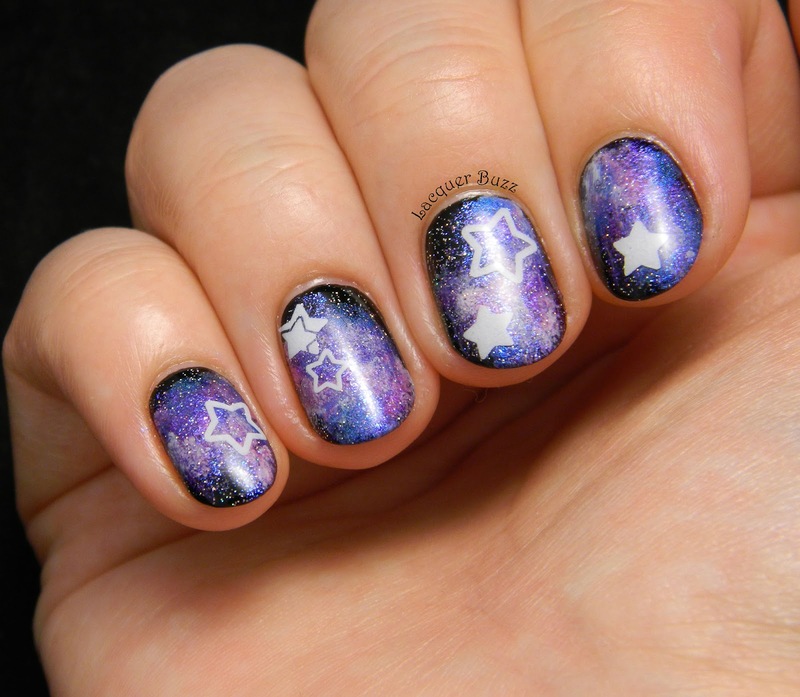 And then I got inspired by Kinga to create some galaxy nails and incorporated the stars in the design. Here's what came out. Hello my lovelies! It's Monday and it rained the whole weekend, which doesn't put me in a great mood at all. 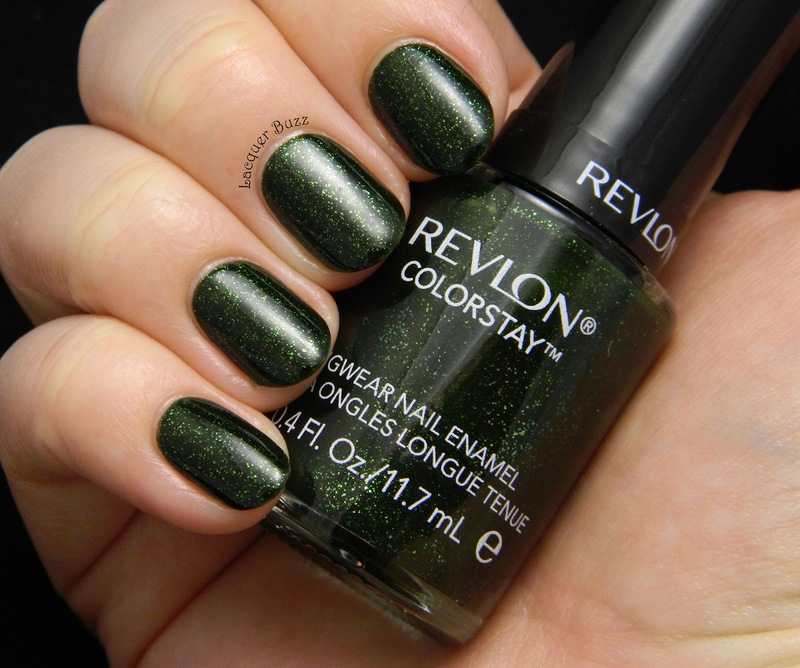 In the hope of cheering myself and all of you up, I will talk about one of the most beautiful polishes I've swatched in my life. I know I say that a lot but seriously, this one easily makes it into my top 10. I haven't bought an a-england polish in a while because of the whole Royal Mail debacle. I had to get my hands on this one though because it's totally unique. It comes from the Ballerina collection and looks like this. Hello my lovelies and happy Sunday! There hasn't been a lot of snow this year where I live (although I know some of you have gotten plenty) and it seems that spring is almost here, but I personally love snow on my nails. Snowflakes to be precise. So last week I couldn't help doing some snowflake stamping to celebrate the end of winter. I hope you won't mind! Hello my lovelies! It's Friday so I have a fun nail polish to show you today. Who doesn't love holographic polish? I know I'm a fan! I was very excited to see that the Born Pretty Store started carrying holo nail polish and naturally I had to try one. The color I picked is a deep and beautiful shade of teal green*. Let's take a look! Hello my lovelies! I have to admit that I had no idea how to name this post. I basically wanted to show you a subtle stamping manicure that I did a couple of weeks ago and tell you how lovely it was. I finally came up with this phrase and after googling it I found out that there's actually a song with this title. So I guess I was on to something when I chose this phrase. Anyway, you all know I'm a big fan of subtle stamping and I use it a lot nowadays for my work manicures. This particular one started from my wish to use the beautiful A-england Ascalon again. Here's what came out. Hello my lovelies! It's Monday again and it's supposed to rain a lot today. Still better than snow though. We are getting crazy warm weather for this time of the year so I can't really complain. Just hope that the winter is not coming back because it would be so depressing. The photos I'm showing you today have been sitting on my computer for a few weeks because I always had something more interesting to post for Monday Blues. 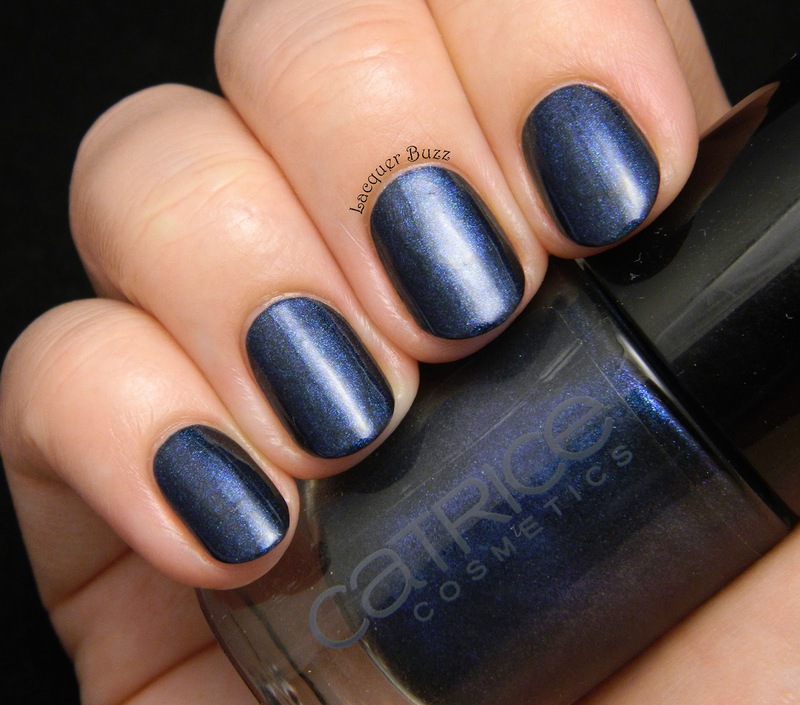 I just found out that this polish is going away from the Catrice line, so I thought I would post about it in case some of you can still find it before it's gone. Let's take a look! Hello my lovelies! It's finally Saturday. Boy was this week long! The theme for this week's TPA challenge is color blocking. I have to admit that I almost didn't take part in this one because I didn't have time to do the manicure and had no inspiration at first. But then I stayed up later last night and managed to do something last minute. I tend to do awful work under pressure, so I apologize if the result is a little weird. Here we go! Hello my lovelies! It's Valentine's Day but I didn't prepare a special manicure this year. 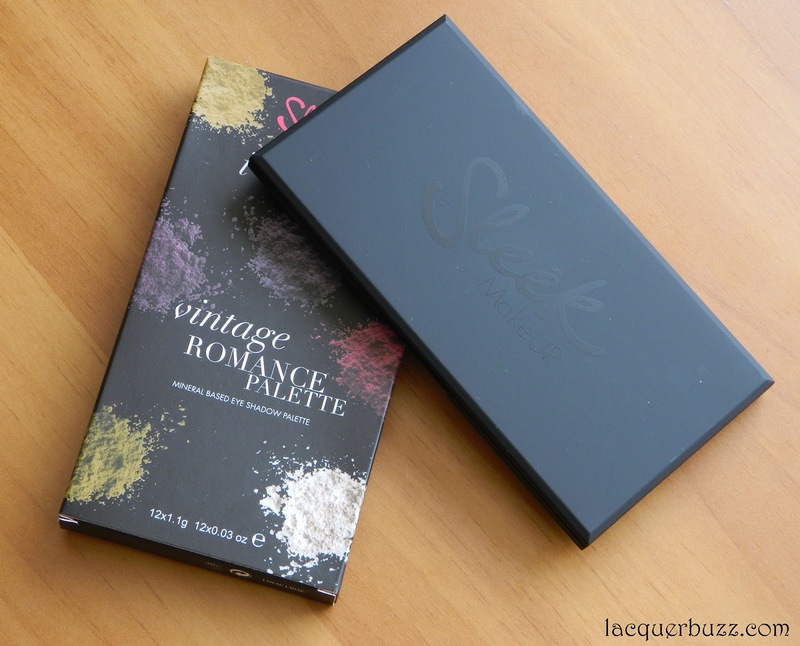 Instead I decided to show you an eyeshadow palette with some very romantic shades. Every once in a while I venture into some makeup posts. Don't worry cause it doesn't happen very often! I've had good feedback on some other palette reviews I did in the past, so I decided to show you the latest addition to my collection. As usual I'm gonna excuse myself because I'm just a nail blogger and I'm not that good at makeup but I do my best. Hello my lovelies! 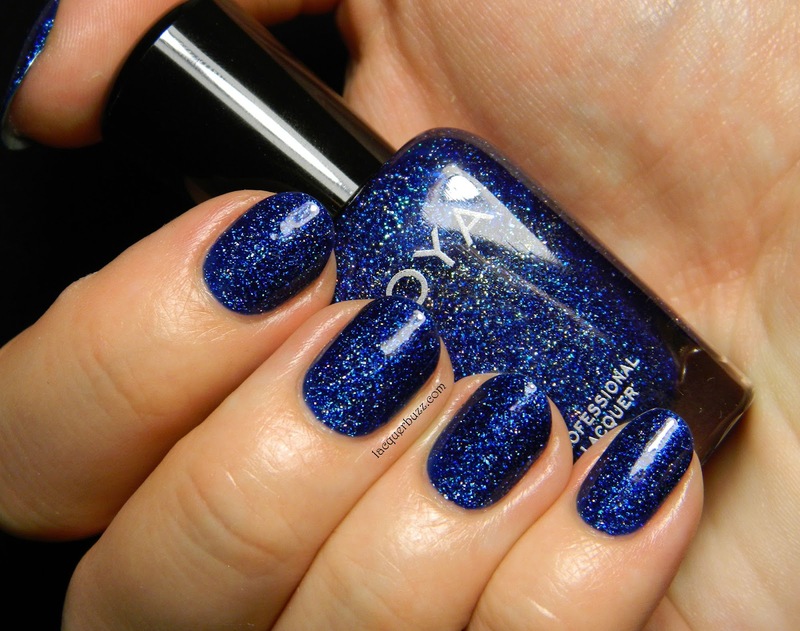 It's the middle of the week and I have a little treat for you: a polish that is absolutely beautiful. This jewel was sent to me by the amazing Julie from Turtlechick's Nails N Tales as a surprise along with Zoya Dream. It brought a big smile on my face when I saw it because of many reasons: the surprise, the fact that I've been wanting to try the Colorstay polishes for ages and they aren't available here, and the fact that it's gorgeous. So here it is! Hello my lovelies! Ready to start another week? I've had a fun weekend and can't say that I'm too happy about Monday, but I love my work so I don't mind that much. As usual I have some awesome blue nails to make your day better and take those Monday Blues away. You all know by now that I'm a big fan of Kiko polishes, especially because of the great formula and the huge variety of colors. Their cremes are the best, so every time I go into a Kiko store I pick up a few. That's how I ended up with this gorgeous blue creme. It was love at first sight! Hello my lovelies! Finally it's the weekend! I've had a long week and some relaxation is in order. 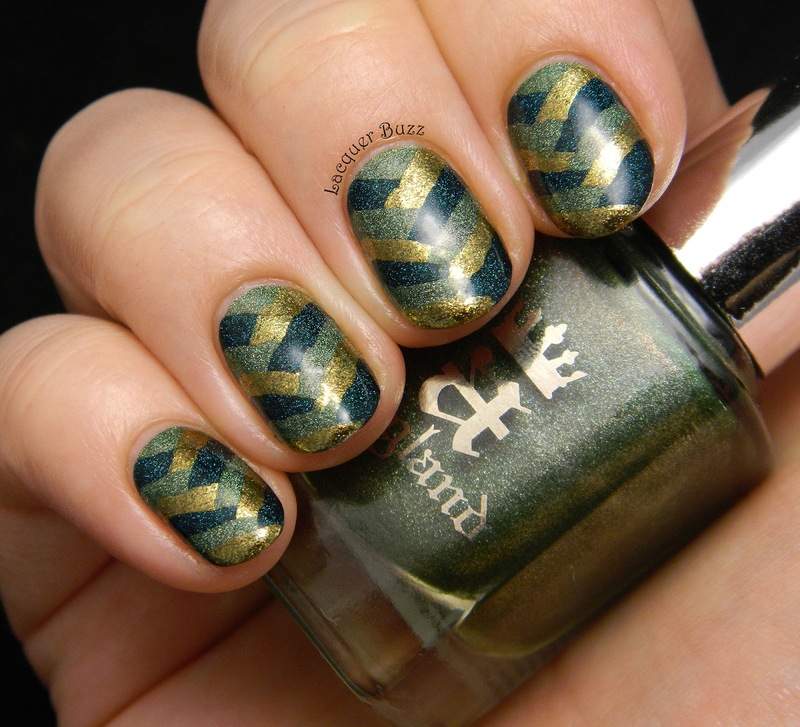 As usual for a Saturday, I have another manicure from the TPA Group Challenge for you. This week's theme is studded nails and since I'm a big fan of studs I really wanted to make something special this time. Unfortunately it was a bit of a fail but at least the colors are bright and cheerful. Hello my lovelies! In today's post I'm gonna tell you about a new technique and a great polish. How many of you have heard about the stamping decal technique? Basically it's an advanced stamping technique that can help you create multicolored decals. I've tried this several times before and failed miserably, but I got inspired to try it again by two lovely ladies who recently filmed tutorials for this technique. By watching their videos I managed to correct some of the issues I was having and made my first successful stamping decal. 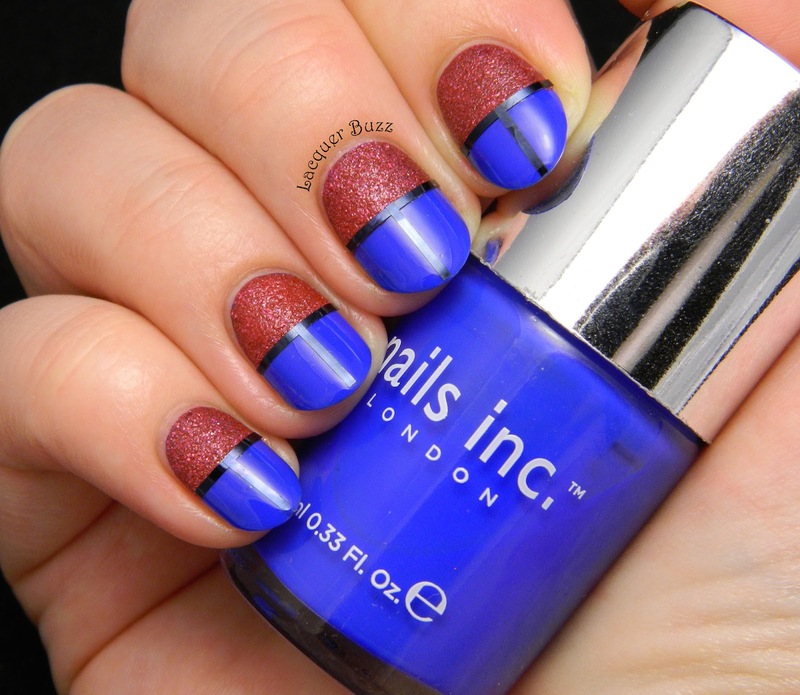 To check out the tutorials click on these links: heart Nat and Lucy's Stash. Here's my final manicure. Hello my lovelies! We're already a few days into February and I finally managed to post my January recap post. January was a little weird shopping wise because I didn't buy much polish. From the beginning of December, when I went on my trip, to the end of January I didn't buy any polish. This no-buy wasn't intentional and I can assure you that I've bought plenty of makeup, clothes, books and whatnot. I just wasn't in the mood to buy polish. The only polishes I got during that period were gifts. That all ended last week when I made an order for some KBShimmer polishes. But I will show you those in next month's haul because they haven't arrived yet. Anyway, I've decided to show you my makeup purchases of the month so this post won't be empty. But first let's take a look at the favorites. Hello my lovelies! Today I have the ultimate Monday Blues post for you. Seriously, I could retire after this (but I won't, of course). This polish doesn't need any words because it's the most beautiful thing ever invented. Let me just show you the perfection! Hello my lovelies! It's Saturday and that means some relaxation is in order. I've had a long and snowy week, so all I wanna do is hang out in bed with a book. After doing that for a couple of hours, I came to my computer to write this post because I have some exciting nails to show you. Can you believe that I've never tried fishtail nails before? I sure don't! That's why I love these challenges, because they remind you of techniques that you've been meaning to try since forever. I did these nails last weekend and couldn't wait to show them to you. I really really love how they came out!